I can not believe it is almost Valentine’s Day. I thought it was about time to post my Heart Button Up. It is really listed for Mother’s Day, but I liked it better for Valentines day. I hope you can tell the difference my new camera makes in my picture taking ability. Thanks Kris! Love is in the air and today is my sister’s 6 month anniversary. Congrats to the happy couple. If you would like to make this quilt, the pattern is by Joined at the Hip. 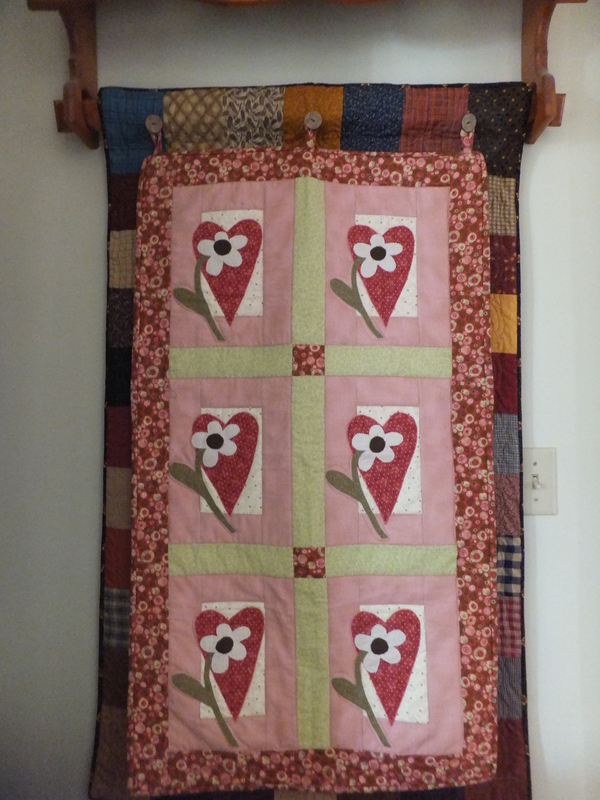 You can also check out my Oct, Nov and Jan Button Up quilts in earlier posts. Hope you have a great Valentine’s Day.